Simple cards are great. They are quick and easy. But sometimes you want to add just a little something to make the card pop. 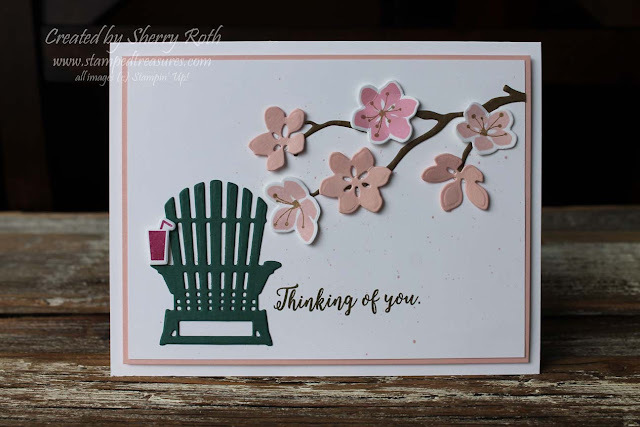 This first card was one of the make and takes that we made at my BOGO event. It needed to be simple because of the number of people coming through. It was created using the Colorful Seasons Bundle. 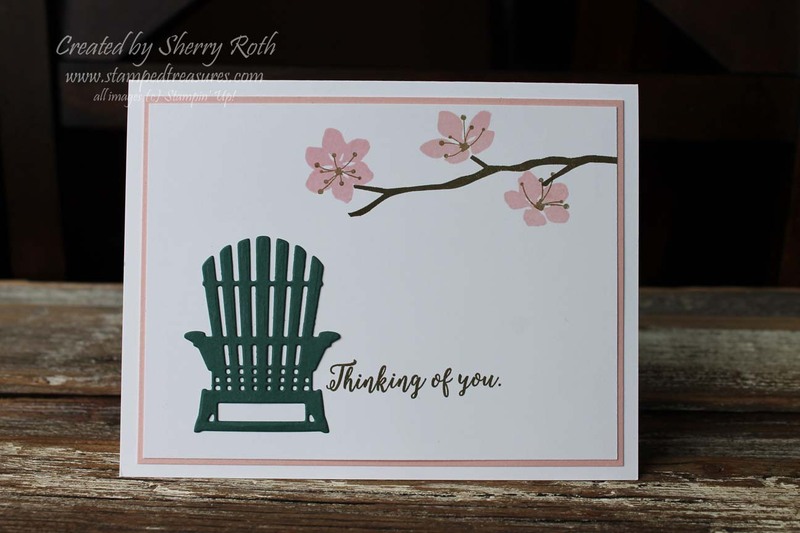 I LOVE that Adirondack chair! To step up the card I added the drink, used the coordinating framelits to cut out the flowers and added a bit of speckle in the background. Nothing complicated but it adds so much depth and dimension to the card.